Whether it be a thrilling diving expedition, or a relaxing holiday by the beach, the COOLPIX W300 is here to capture it all. Waterproof, shockproof, cold-resistant, and dustproof, the COOLPIX W300 will preserve all your moments in stunning clarity with its 16.05-megapixel back-illuminated CMOS sensor and 4K UHD video capabilities. No matter where you are, stay constantly connected with SnapBridge to keep your friends and family up to date with your adventures. 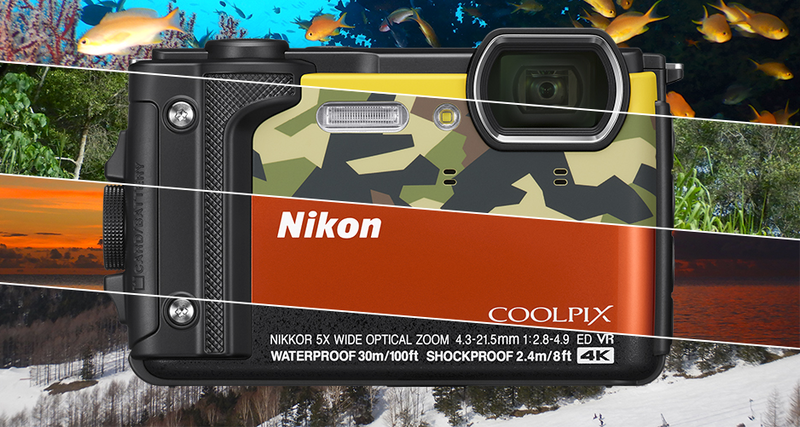 Wherever your wanderlust may lead, the COOLPIX W300 is ready to perform, on land or at sea. Waterproof to a depth of 30m, shockproof from a height of 2.4m, cold-resistant down to -10°C and dustproof, the COOLPIX W300 can easily keep pace with any adventure. 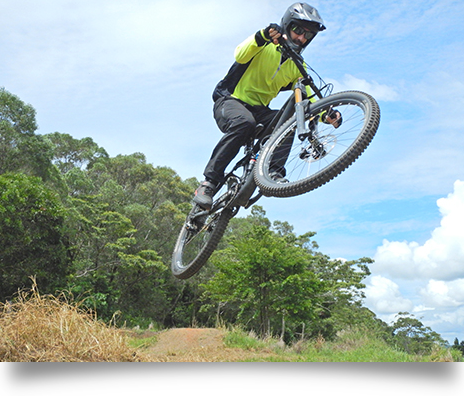 With just a touch of a button, the COOLPIX W300 will record your experiences in stunning 4K UHD/30p cinematic quality. Capture scenes in vivid clarity, even underwater, thanks to its 5-axis Vibration Reduction that helps to ensure sharp and smooth scenes, and the new AE lock feature that balances exposure when shooting in erratic lighting conditions. Personalise your shots with Creative Mode. 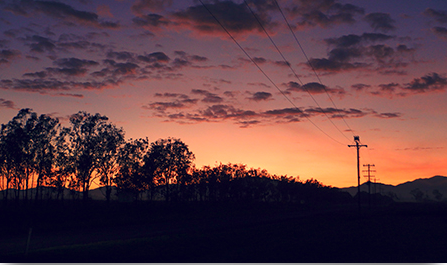 Simply select from a vast array of preset effects and let the COOLPIX W300 do the rest. To create more eye-catching images, choose from eight different types of Quick Effects such as fisheye, miniature effect, and painting. Keep track of the all the amazing destinations you visit. The COOLPIX W300 features a built-in altimeter and depth gauge for atmospheric and water pressure readings. 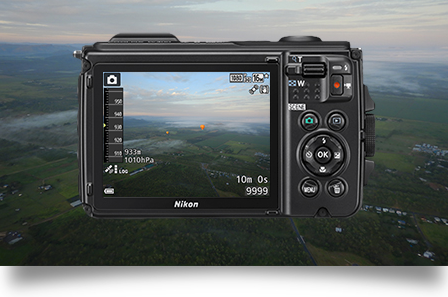 Retrace your steps with the built-in GPS, GLONASS, and QZSS*10, that capture data to pinpoint the location of each shot – all easily accessed with a simple touch of the Tool button on the side of the COOLPIX W300. Share your best shots with SnapBridge, a new feature that automatically downloads your images to your smart device via a constant Bluetooth Low Energy (BLE) connection. 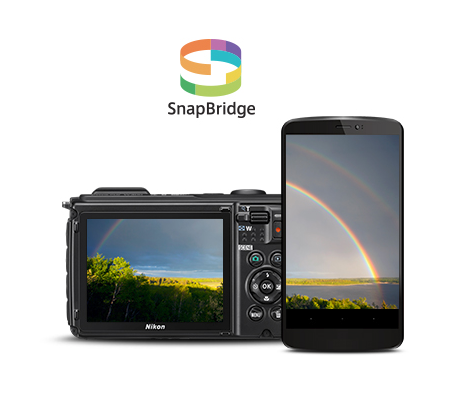 SnapBridge is now available for download on Google Play™ for Android™. See the App Store® for the latest information on camera firmware compatible with the iOS version of the SnapBridge app. 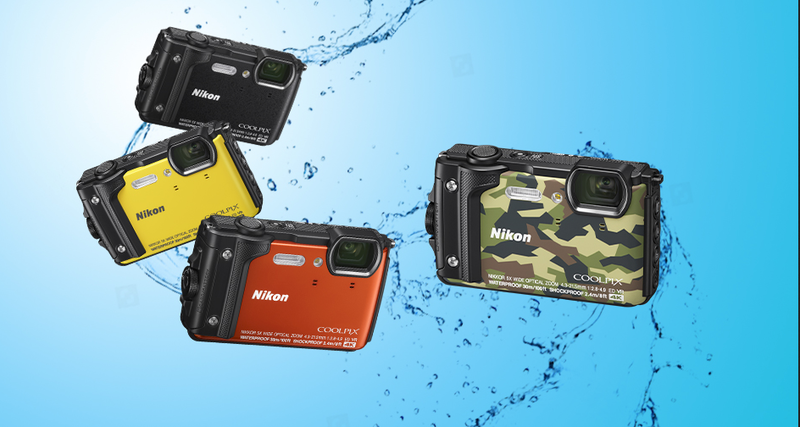 The COOLPIX W300 is available in a wide range of colours to suit your personality. Weighing approximately 231g and measuring 111.5mm (width) x 66.0mm (height) x 29.0mm (depth), the COOLPIX W300 is ergonomically designed to fit into the palm of your hand. Its 3.0-in TFT monitor ensures superior visibility with minimal reflection even in bright outdoor conditions, while an added LED light button will help you illuminate surrounding areas when you’re shooting in the dark. 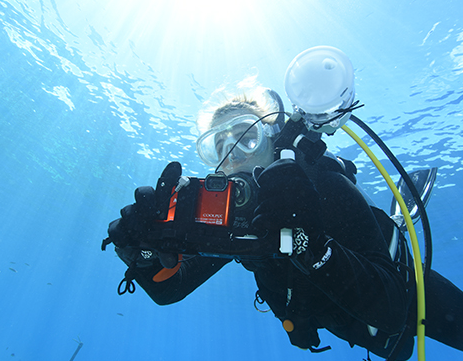 Illuminate the darkness of the deep blue sea with an array of optical accessories, such as the Underwater Speedlight. For added protection, the silicon jacket will protect the camera body from any scratches, so now capture all of your exciting adventures with the COOLPIX W300 without a worry.